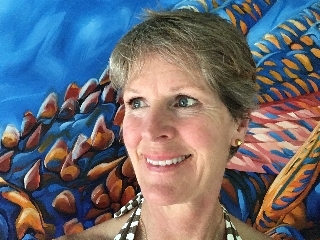 Rochelle Mason has been painting animals professionally since 1980 and in 1990 began focusing her career on endangered species. She is especially passionate about representing unpopular animals and those that get little public attention. "My Mom taught me the most valuable lesson about animals when I was young: respect them and learn from them", says Rochelle. "At the time, I was dealing with a spider." Knowing most people don't like animals such as snakes and spiders and bats and bugs, it became Mason's personal mission to help people transcend "speciesism", connect with nature and change their perceptions about these misunderstood creatures. 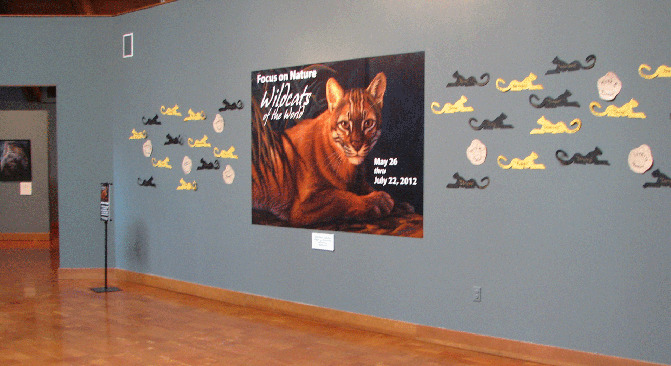 Numerous traveling art exhibitions featured primarily in natural history museums and her nationally-published column, "Focus on NatureTM: Insight into the Lives of Animals", help Rochelle accomplish this mission. Mason's new series of abstract paintings reveals alluring attributes of these unpopular animals, so ambiguous viewers get immersed in currents of color, eddies of paint and intriguing, whimsical shapes that beg a closer look, inviting curiosity and fascination. A science degree in Veterinary Technology, neatly tucked in her back pocket, has been advantageous in understanding the anatomy of who and what she's painting, from arthropod skeletal structure to wing venation. Rochelle also weaves her interests in cosmology and quantum mechanics into her work by defining loose, spontaneous brush strokes, adding minute details and offering close-up perspectives. 1992-1995 Arts for the AnimalsTM, created by Rochelle Mason, is/was a contest and exhibit of endangered species artwork created by school children to help increase their understanding of these species through active involvement. Rochelle Mason Fine Art takes great care in representing the artwork on this site as accurately as possible. There may be, however, slight differences between what you see on your screen and the actual artwork. If you are not completely satisfied with the artwork you have purchased you may return it undamaged within 14 days for a full refund. You may purchase paintings from this website by using PayPal/Venmo. Purchases will be shipped via FedEx once payment has cleared. The risk of loss and title for all merchandise ordered on this website pass to you when the merchandise is delivered by the shipping carrier. Customs and import duties may be applied to International orders when the shipment reaches its destination. Such charges are the responsibility of the recipient of your order and vary from country to country. Contact your local customs office for details. Rochelle Mason Fine Art is not responsible for any direct, indirect, punitive, or consequential damages that arise from improper international shipping practices. All content appearing on this website is the property of Rochelle Mason including image copyrights and the trademark "Focus on Nature". Copyright © 2018 Rochelle Mason. All rights reserved. As a user, you may only copy, print, and/or distribute images/documents on this website so long as (1) the image/document is used for informational purposes only, and (2) any copy of the image/document (or portion thereof) includes the following copyright notice: "Copyright © 2018 Rochelle Mason. All rights reserved." All copyrights on this website are registered with the United States Library of Congress.